Rush D. Holt Jr., CEO of the American Association for the Advancement of Science, will discuss the role of scientists in shaping public policy and opinion in a public lecture at UC Santa Cruz on Thursday, April 19, at 4:30 p.m. in the College 9/10 Multi-Purpose Room. Admission is free; advance online registration is requested. Holt's talk, "Science, Politicians, and the Public: What's the Story? ", is the 2018 Osterbrock Distinguished Leadership Lecture. With many public decisions being made on the basis of political partisanship rather than scientific evidence, what storyline should scientists follow, and what difference does it make for the practicing researcher? Holt will explore these questions and the role of scientific leadership in shaping public policy and opinion. Holt is an American teacher, scientist, administrator, and policymaker. 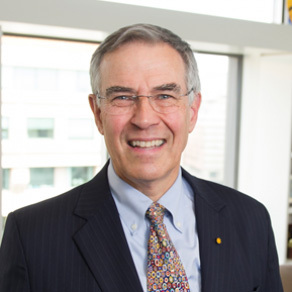 As CEO of the American Association for the Advancement of Science (AAAS), he leads the world's largest multi-disciplinary scientific and engineering membership organization. Prior to joining AAAS in 2015, Holt served as the U.S. Representative for New Jersey's 12th Congressional District, directed the Princeton Plasma Physics Laboratory, and taught physics at Swarthmore College. He holds M.S. and Ph.D. degrees in physics from New York University. The Osterbrock Distinguished Leadership Lecture is sponsored by the Osterbrock Leadership Program, which provides thoughtful and informed leadership training for UCSC graduate students.